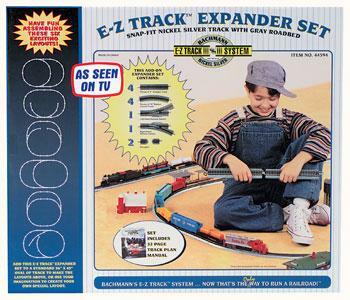 This E-Z Track Expander Set Includes 12 Pieces of HO Scale Snap-Fit Nickel Silver Track with Gray Roadbed, from Bachmann. Retail $130.00 SAVE 37% ! Nickel silver rail and gray roadbed.